New Bern, 1771-1776. 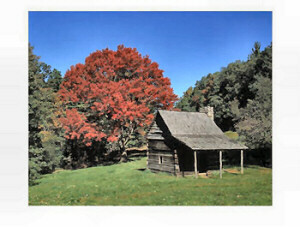 Raleigh, since 1792. November 21, 1789, 12th State. North Carolina Geography, 53,821 square miles. 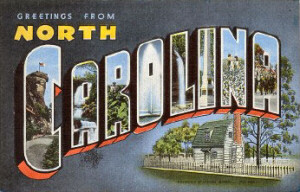 North Carolina is bordered by the Atlantic Ocean on the east. 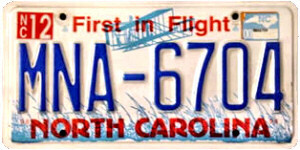 Constitution: Constitution of North Carolina, 12th state to enter the Union. Manufacturing: Tobacco products (cigarettes, pipe and chewing tobacco) are North Carolina's leading products in the manufacturing industry. The state produces more tobacco products than any other state. Chemicals (Pharmaceuticals, cleaning products, synthetic fibers) are North Carolina's second most important manufactured products. Third-ranked are computer and electronic products that include communication equipment and computer components. Mining: Crushed stone, mostly granite, is the state's most valuable mined product followed by traprock and limestone. Other important mined products are phosphate rock (for fertilizer), sand and gravel and lithium (for making aluminum, glass). A leading producer of feldspar, mica and pyrophyllite, North Carolina also produces some quantities of clay, granite, marble, olivine and talc. 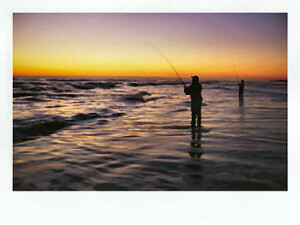 Fishing: North Carolina's most valuable fish/shellfish products are blue crabs, clams, flounder and shrimp. Aquaculture is strong in the state, producing catfish, crayfish, Atlantic menhaden and trout "on the farm". Services: Concentrated in metropolitan areas of the state, finance, insurance and real estate make up North Carolina's leading service industry group. The state's growing population has supported growth in real estate businesses and the state's growing reputation as a commercial center. Large banking companies have moved into Charlotte, making the city one of the nations important financial centers. Community, business and personal services are the second-ranking service group in the state. This group includes private health care, private schools, research facilities, motels, law firms and repair shops. North Carolina is home to leading research facilities focusing on medicine, electronic and other specialized fields. Wholesale trade (automobiles, building materials, groceries, tobacco) and retail trade (department stores, food stores, service stations) comprise North Carolina's third-ranking service industry. 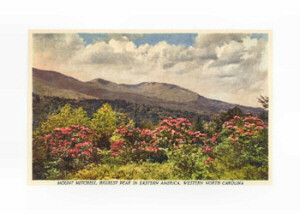 Highest Point: Mount Mitchell, 6,684 feet above sea level. Natural Resources: North Carolina's natural resources include rich soils and mineral deposits and thick forests that cover about 60% of the state. North Carolina House: North Carolina State Representatives.